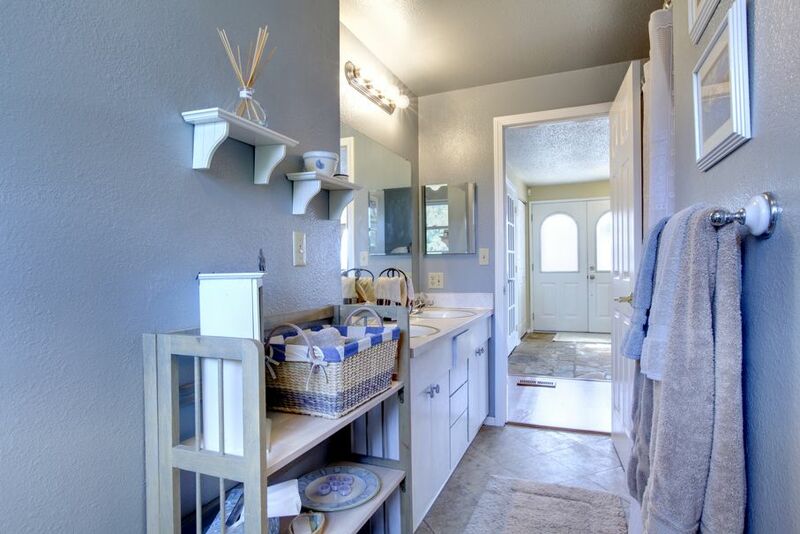 Organizing all the things in your bathroom can be a pain. Make it less difficult by trying these bathroom organization tips! 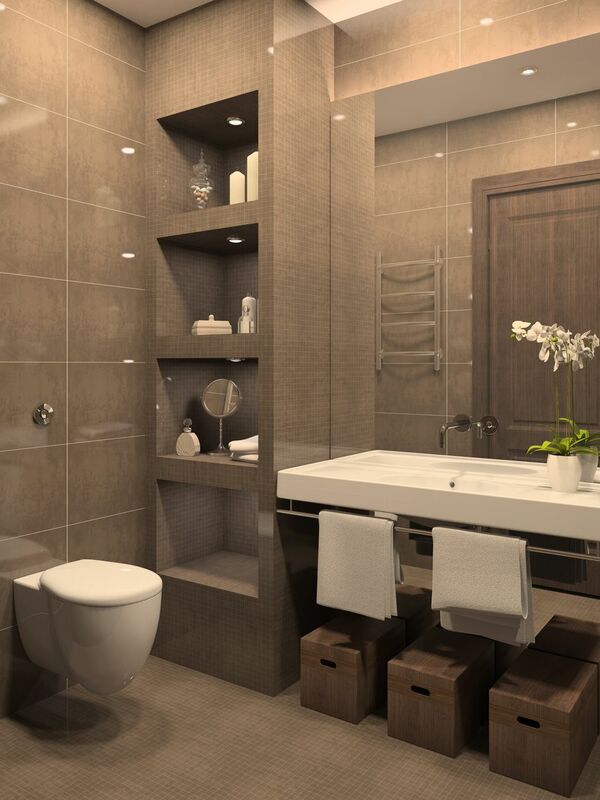 There’s rarely enough room for everything we need in the bathroom. If you have a family, precious square footage for hampers, linens, and bath goods goes faster than any other interior real estate you have. By following these quick and easy organizers that don’t sacrifice any floor space, you’ll have everything you need at arm’s reach. This tends to become a space for everything from large containers, cleaners, and electric devices. To organize, add some shelves! There’s an array of inexpensive plastic versions with metal rods that can be adjusted at different heights and around the pipes. There’s also a huge variety of plastic drawers to add underneath the sink. You can also cut a plastic shoe organizer that was originally made to hang over a door to fit on the inside of cabinet doors. These can hold everything from soap and sponges to spray bottles and shampoos. For small items that tend to get lost in the shuffle of bath items, a tiered pie rack is a cool way to keep them all in one spot. You can use colorful plastic plates for safety, and use them to hold cotton balls, cotton swabs, floss, combs, pins, and hair ties. Tiers go up to four levels high, and the plates can be labeled for their use. Adding a few towel bars can give you some great looking and much-needed storage, too. The wall space above the toilet is a perfect spot. Square or rectangle sturdy baskets can be tied to the towel bars with string or colored zip ties. By threading the ties through the top edge of the baskets on two corners, you can adjust at about a 30-degree angle from the wall, giving easy access to the contents. These are great for washcloths, extra soaps, loofahs, bath salts, and a variety of bottles. Adding an extra shower curtain rod not only gives you more storage options but keeps everything off the tub or shower shelves where soapy, watery messes tend to build up. Mesh-type plastic baskets or bags in different sizes can be hung from the rod with waterproof nylon string. These are great for razors, shampoo and conditioner bottles, bubble baths, and soaps and they’ll dry thoroughly between showers! The bulky array of blow dryers, electric razors, and flatirons are some of the more difficult items to store. They can take up way too much room in drawers and cupboards, too. Office-style metal file boxes are a great solution. These can be hung on the side of the cabinet by the toilet, or whatever space is closest to the mirror. They look great and are non-flammable, which is good because those appliances do get hot. These can also be painted to your liking if you happen to find one for a few dollars at a garage sale. If you have a linen closet or pantry type shelving, you have some room to get really creative for your small bathroom renovation. First of all, save your cans! Both large and small cans can be used for storing anything from toothbrushes to curling irons. Rope wound around and glued to the outside looks rustic and homey and can hold up to anything. For more renovation ideas, use any plastic storage items like smaller shelves, drawers, and bins can be painted any color possible. Vintage metallic shades are especially nice with the addition of chalkboard tags for labels. Having a cool place for everything helps keep everyone organized! There are some wonderful varieties of hanging baskets, and though you may usually see them for plants or veggies in the kitchen, they are great in the bathroom. These are easily found at thrift stores or home goods shops. You can paint hanging baskets to match if you prefer, or use them as they are for brushes, hand towels, hair products, or spare toilet paper. Everything is up and out of the way, and you can hang them above the counter with a simple hook and toggle bolt. 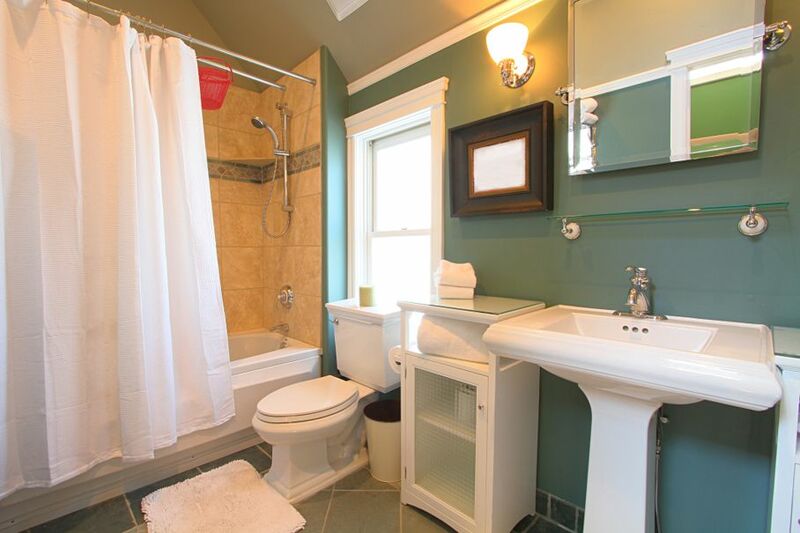 Now that your bathroom isn't cluttered, you should find it more relaxing. 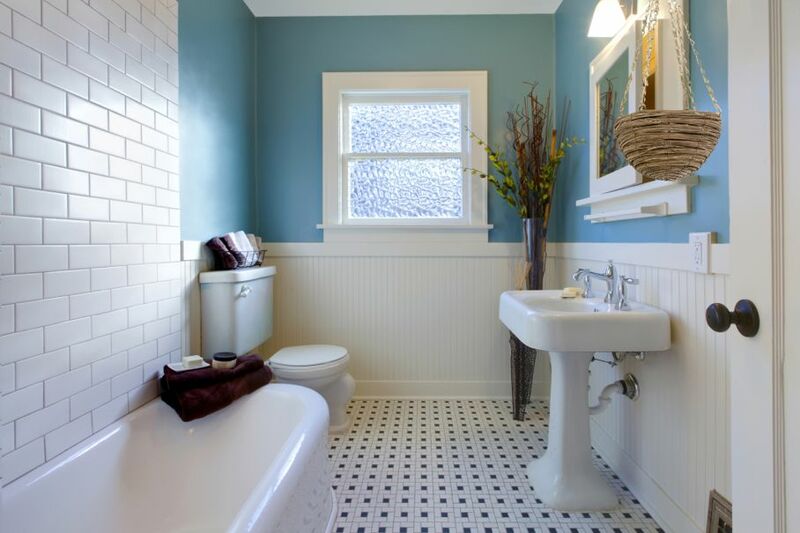 Why not fill up the tub and have a good soak to really appreciate your newly-organized bathroom?